The Android tablet PC market is constantly getting more crowded with new hardware becoming available to consumers, and now Samsung has added to its own line up by officially announcing the Galaxy Tab 3, although pricing for the device will be important if it’s to do well. Earlier this month we saw a leak that was supposedly of the Galaxy Tab 3 and now the company has revealed the device officially, which doesn’t really offer much spec wise so the tablet will need to be competitively priced to have any appeal to the buying public. The device comes with a 7-inch LCD display at a resolution of only 1024 x 600 and 169ppi, which is powered with a dual core processor running at a clock speed of 1.2GHz. This is paired with 1GB of RAM and there will be either 8GB or 16GB of internal storage that can be expanded by another 64GB thanks to the usual Samsung microSD card support. There are two cameras fitted to the device with an 5-megapixel unit on the rear coupled with a 1.3-megapixel front facer, 4,000 mAh battery, and to start with there will only be a Wi-Fi version available with the device running the Android 4.1 Jelly Bean operating system. This Wi-Fi version will be available around the world from next month with a 3G version coming in June, but the company has yet to announce the pricing for the device and considering there could be a new version of the Nexus 7 coming soon with a HD screen, it needs to be cheap. 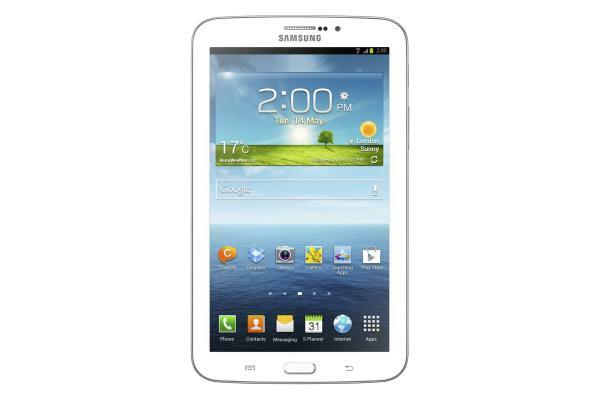 Will you consider the Samsung Galaxy Tab 3 based on its specs?